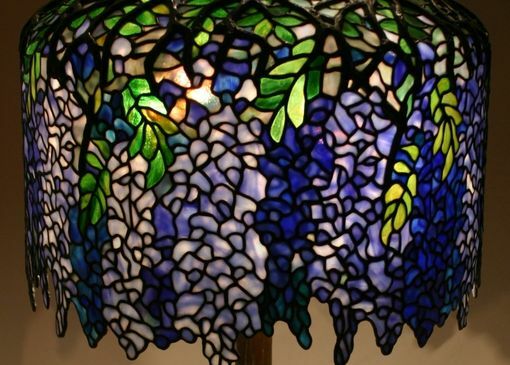 Wisteria Lampshade On Tree Trunk Base. 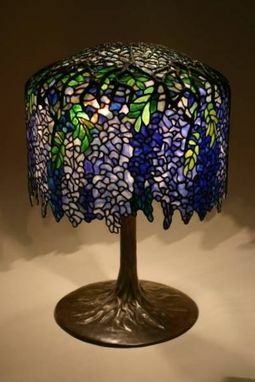 This lamp is a reproduction of a Tiffany Wisteria Lampshade and base. There are over 2000 pieces of glass that are wrapped in copper foil and then soldered together involving 250 hours of labor. 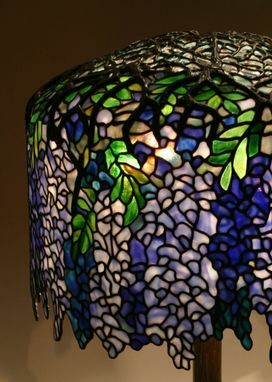 The lamp was paired with a Tree Trunk base with 4 light cluster that was from solid brase that was copper platted and then finished with a green/brown patina. Lamp dimensions 18" D X 23 H.